On May 18th, 1893, Amy Barnes Maynard invited eleven Amherst women to meet at her home on the Massachusetts Agricultural College to discuss forming a Woman's Club. The Club was founded "to foster the interests of its members in literary, scientific, musical, historical, and other topics of vital importance; to promote culture and cordial personal relations among women; and to contribute to the welfare of the community." Service to the community was to be an integral part of the club from its origin. The Club was incorporated in 1903 and this year, we celebrate 125 years of fulfilling that commitment of service to the Amherst community. 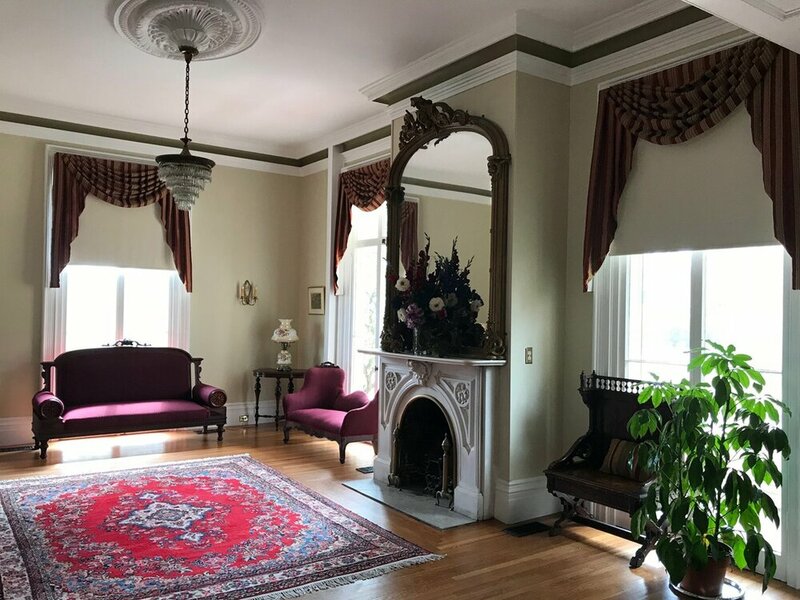 The home of the Amherst Woman’s club is our beautiful 1864 Italianate Renaissance mansion clubhouse, located in the heart of the Emily Dickinson Historic District in Amherst, MA. It was a gift to the Amherst Woman's Club from Alice Maud Hills in 1922. One of the most important tasks of the Amherst Woman's Club has been to maintain the Hills Memorial Clubhouse. Through club members' contributions, we have preserved this property for nearly one hundred years. The Amherst Woman's Club is available for both intimate and large-scale weddings as well as all of life's important occasions. Contact us for more information on using our beautiful space for your next event. Our newly renovated interior space. Membership in the Club is open to all women of Amherst and surrounding communities. If you would like to find out more about membership in the Amherst Woman's Club, contact our membership chair at 413-549-5679. For more information on the history of the Hills Memorial Clubhouse or the Amherst Woman's Club, see the History page.